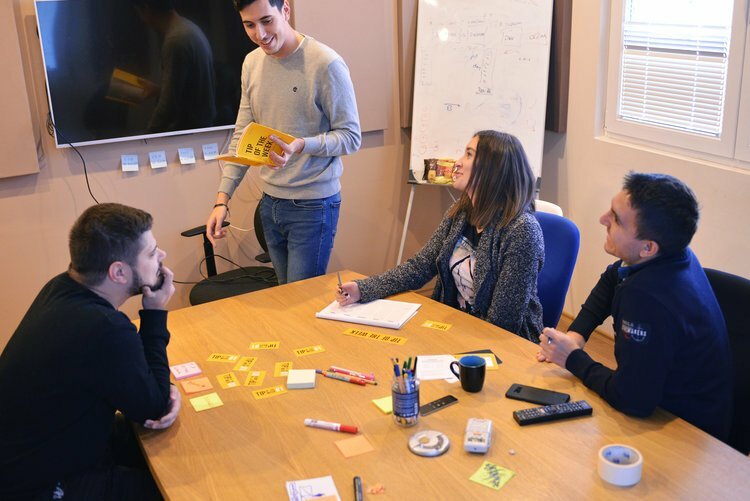 The first interactive book for personal and professional development coming from the Balkans, achieved the defined goal of 8.000$ placed on Kickstarter and raised 8.259$. 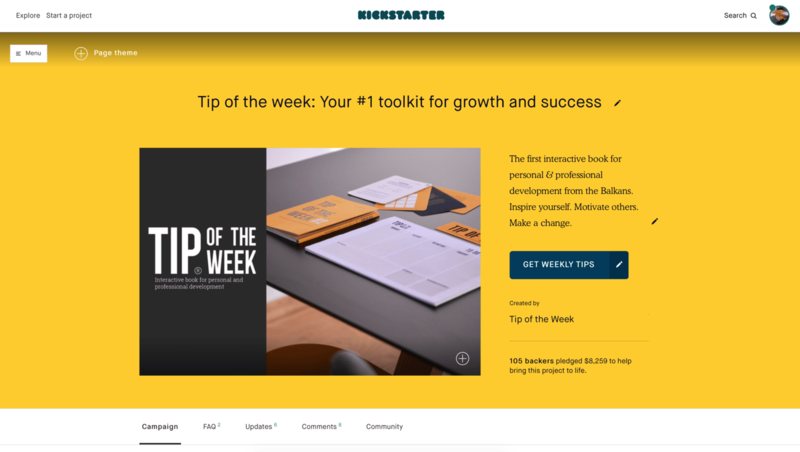 Supported by 105 backers, from more than 50 different countries, the campaign was successfully finished and Tip of the Week was ready to go live. 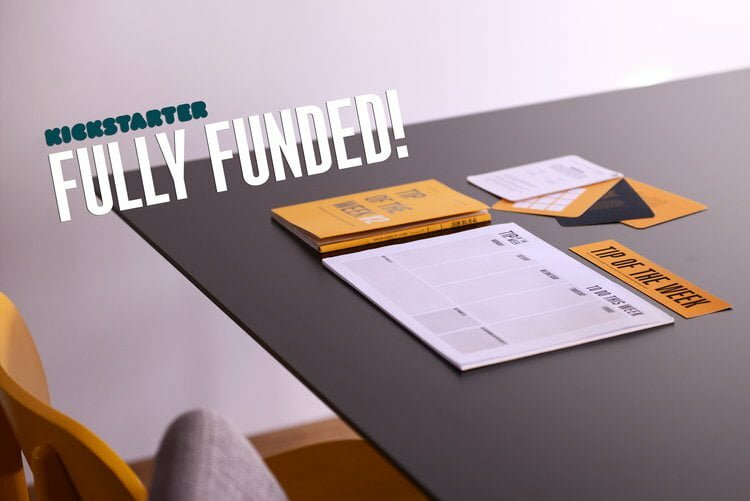 Due to the diversity of the support, Kickstarter proved to be the most effective way to create global brand awareness and make global audience for a certain brand in a one month, we decided that the optimal duration of the campaign for this kind of product is one month. 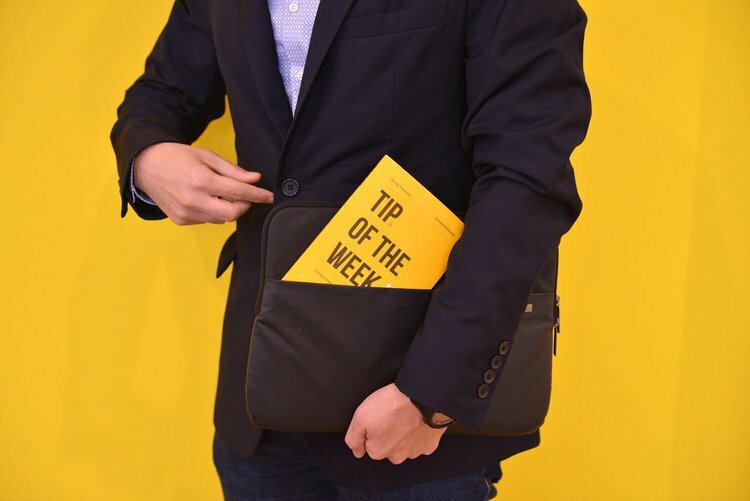 Providing meaningful tips for personal and professional development, Tip of the Week once again has proved its purpose, this time globally. After finishing the campaign with the achieved goal, it begun the production phase. The estimated delivery time was May 2018 which we manage to accomplish. Together with the Tip of the Week team we delivered the packages to our backers.